What will $2,200 rent you in Lakeview, right now? Curious just how far your dollar goes in Lakeview? We've rounded up the latest rental listings via rental site Zumper to get a sense of what to expect when it comes to locating an apartment in this Chicago neighborhood with a budget of $2,200 / month. Listed at $2,200 / month, this 1-bedroom, 1-bathroom apartment is located at 421 W Melrose St. 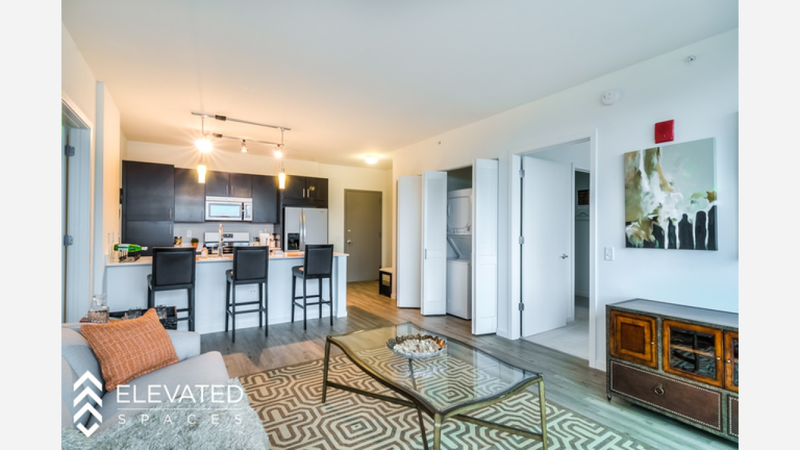 In the unit, you can expect hardwood floors, a dishwasher, a fireplace and air conditioning. Amenities offered in the building include on-site laundry, an elevator, storage space, on-site management, a fitness center and a doorman. Next, there's this 1-bedroom, 1-bathroom apartment situated at 3760 North Halsted St. (at W Grace St. & N Broadway St.). It's listed for $2,107 / month. In the unit, there are a dishwasher, in-unit laundry, high ceilings, stainless steel appliances and floor-to-ceiling windows. Here's a 1-bedroom, 1-bathroom condo at 3631 N Halsted St., which is going for $2,100 / month. In the unit, you'll get hardwood floors, high ceilings, a dishwasher, in-unit laundry, a fireplace, stainless steel appliances and a balcony.